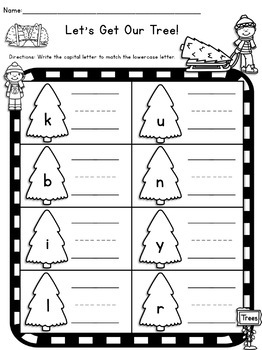 18 pages of writing capital and lowercase letters. 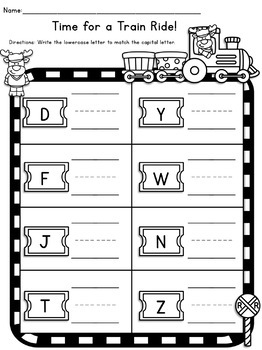 Students have to write the capital letter to the lowercase letter and the lowercase letter to the capital letter. The 9 pages are the same, but one has write the capital letter and the other has the lowercase letter. 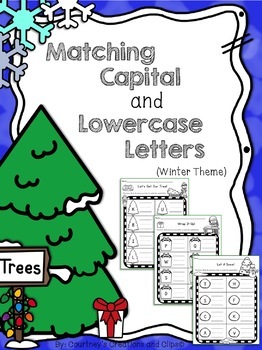 These are WINTER themed with winter pictures! Some of the pictures include: Trees, gifts, ice-skates, trains, snowballs, winter hats, etc.